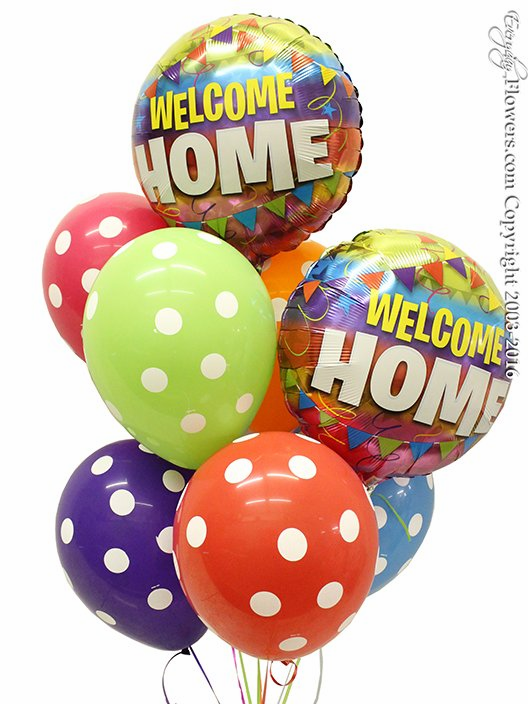 Two welcome home 18 inch foil balloons with six polka dot latex balloons. Balloons are filled with helium and latex balloons are filled with hi-float to increase their float time. Balloons are tied with matching string and weighted with a sand weight and two foil balloon clips.